Moroso Water Filler Neck - Lightning Motorsports - Selling Speed since 1996 ! Keeping your high-performance engine running cool at higher speeds takes more than a good, clean radiator. In fact, operating your engine at higher RPMs for extended periods of time can actually hurt the cooling system’s efficiency. The reason lies with the speed of water as it travels through the engine. As engine speed increases, so does water pump speed. The faster the engine, the faster water is pumped through the cooling passages of the block and head. At first, this may sound like a positive thing. And for drag racing applications where the runs are short, it is. However, for oval track racing and street performance applications, it’s not! Water needs to absorb heat as it travels through the engine. If traveling too fast, water cannot absorb heat and carry it to the radiator. 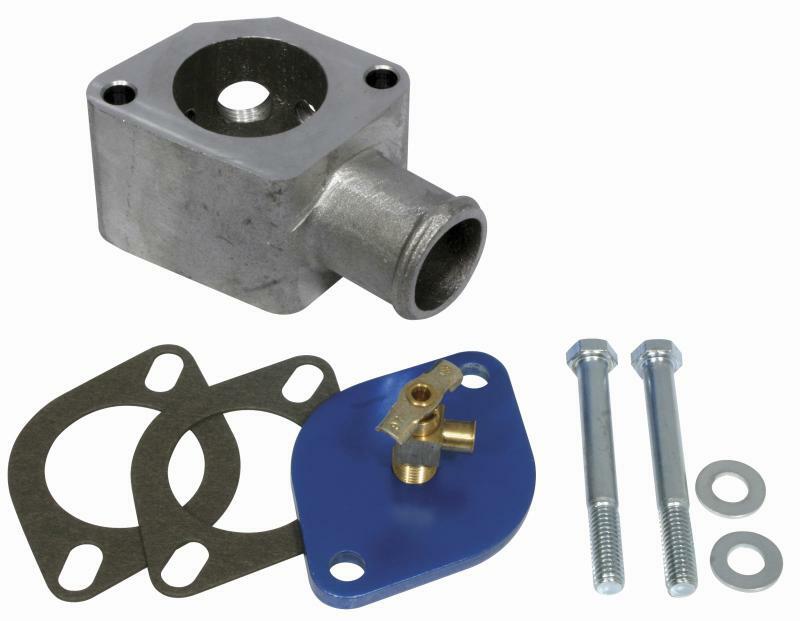 Additionally, a water pump that “over-speeds” is prone to cavitation. There are a few simple modifications that can be done to reduce water velocity. One is to change the crankshaft and/or water pump pulleys to obtain slower speeds and prevent water pump cavitation. The other is to install aluminum restrictor plates under the water outlet on the intake manifold. Both allow the coolant to absorb more heat so it can be carried to the radiator and released to the atmosphere.